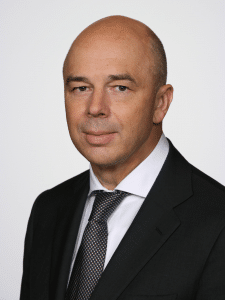 Anton Siluanov is the First Deputy Prime Minister and the Minister of Finance for the Russian Federation. 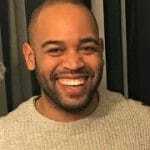 A career Ministry of Finance employee, Siluanov has spent his entire professional career within the Ministry of Finance – with the exception of a brief duty in the army. The Russian economy has faced a multitude of hardships in the past three decades and Siluanov has remained a steady figure throughout them all: the fall of the Soviet Union, the Yeltsin administration, the Putin administration as well as the Great Recession of 2008 and the Financial Crisis of 2014. Siluanov’s story is intertwined within that of the Russian economy; a familiarly with Siluanov means a familiarity with the Russian economy, and vice versa. Born in April 1963 into a family of finance experts in Moscow, Siluanov has been well-groomed for his current position. His father, German Mikhailovich Siluanov, held a degree in Finance from the Moscow State Economic Institute and worked as a mid-level manger in the Ministry of Finance in both the Russian Soviet Federative Socialist Republic (RSFSR) and, later, Russia’s Ministry of Finance. Siluanov’s mother, Yanina Nikolaevna, worked at the Finance and Statistics Publishing House and then for the Editorial and Publishing Department of the State University of the Ministry of Finance of the Russian Federation. Finance and economic management are in Siluanov’s blood. In 1985, Siluanov graduated from the Moscow Finance Institute with a degree in finance and credit and, for the following two years, served as a senior economist for the Ministry of Finance of the RSFSR. However, in March 1987, he began his mandatory two years of military service in the Soviet Army, required of all adult men. He left active duty in May 1989. Following this, Siluanov spent the next three years in various jobs within the Ministry of Finance. He was first a senior economist, then a department head, and finally a chief consultant and advisor. In February 1992, shortly after the collapse of the Soviet Union, he was first appointed Deputy Head of the Ministry of Economics and Finance of the Russian Federation. Quickly after accepting this position, he was also appointed Deputy Head of the Budget Department of the Ministry of Finance. 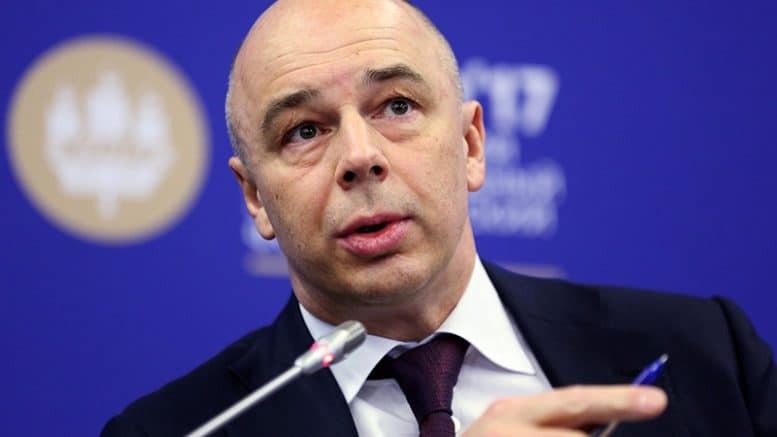 In October 1997, Siluanov became the Head of the Department of Macroeconomic Policy and Banking Activities of the Ministry of Finance, and in March 2001 also became a member of the Board of the Ministry of Finance. 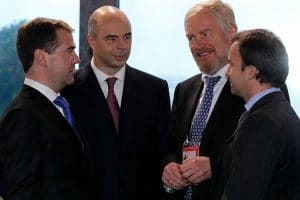 Then, in quick succession, Siluanov became the Deputy Minister of Finance, Director of Inter-budgetary Relations of the Ministry of Finance, and then Deputy Minister of Finance once again in December 2005, where he stayed for the remainder of the decade. Following the economic crisis of 2008 that led to the Great Recession, Siluanov was still working as Deputy Minister of Finance, and the Russian economy was saved by the policies implemented by then Minister of Finance, Alexei Kudrin. As the economy stabilized in late 2009, Minister Kudrin argued that the proceeding years would need to see unpopular, but necessary, measures implemented to ensure the sustained stability that the Russian economy was currently experiencing. He posited that political reform must precede economic reform in order for his plans to completely succeed. The United Russia Party opposed Kudrin’s suggested actions and asked the Foreign Minister to “refrain from political commentary.” In late September 2011, Kudrin announced that “disagreements with (then-President) Medvedev on economic policy… prevent [him] from serving as Finance Minister of the new government” and resigned from his post as Finance Minister. To ensure continuity in Russian economic policy, the following day Prime Minister Putin appointed the long-standing MinFin employee, Anton Siluanov, as Acting Minister of Finance of the Russian Federation he was confirmed on December 16, 2011, and additionally received membership in the powerful Security Council of the Russian Federation. Since this, Siluanov has remained closely tied with President Putin and has been the “main architect” of Putin’s economic policies. In 2012 Siluanov defended his second doctoral thesis for a Doctorate of Economic Sciences on the topic of “Inter-budgetary Relations in the Conditions of the Development of Federalism in Russia.” This topic is a growing concern for Russia. In order to bring stability to the nation after the tumultuous 90s under Yeltsin, Putin centralized taxes, meaning that today most taxes flow through Moscow and are then redistributed to the regions as federal revenue. However, about 90% of all regional expenditure is also now dictated through federal mandates. Having both expenditures and income dictated by the federal center has resulted in deficit spending for many regions. In some regions, deficits have reached a concerning 200% of regional GDP, which often means that they are bogged down in interest payments and reliant on increasing amounts of federal loans or federally-supported debt restructuring. Many governors and regional deputies are openly campaigning for more autonomy for Russia’s regions. While some suggestions have been offered, such allowing a new sales tax for regions or allowing certain (usually minor) existing taxes or state fees to remain in the region where they are collected, so far no effective fix has been passed. Following Putin’s reelection in 2018, he elevated Siluanov to First Deputy Prime Minister (in addition to Minister of Finance). The First Deputy Prime Minister is the highest ranking official of the other deputy prime ministers whose role is to coordinate the activities of federal government bodies and carry out other tasks in response to particular issues or events. This promotion elevated Siluanov to one of the highest positions in the government as he continues to sculpt Russia’s economy. The Financial Crisis of 2014 devastated the Russian economy. As the first major crisis under Siluanov’s leadership, the Ministry of Finance was conservative in reactions to restore the economy and the national currency. In an official statement, Siluanov acknowledged that sanctions, one of the causes of the crisis, were imposing heavy economic costs on the economy, but he believed that the drop in oil prices was the more pressing issue. The Russian economy was losing around $40 billion per year because of the geopolitical sanctions of the West and about $90-$100 billion from oil prices falling by 30% during the financial crisis. -A 2014 CNN interview of Finance Minister Siluanov in Washington D.C. concerning the financial implications of the annexation of Crimea and the war in Eastern Ukraine. (Voiced over in English). To combat the intensity of this impact, Siluanov advocated for cutting all 2015 budgetary expenditures by 10% – excluding the defense budget. The overall expenditure for 2015 was projected to increase by 11.7%, but Siluanov urged the government to only increase expenditures by 5% to provide a safety net. He argued that the projected budget was created upon the assumption that oil would be sold at $100 per barrel instead of its current $46 per barrel; this deficit alone would cost the Russian government 3 trillion rubles ($45 billion), or 20% of the planned government revenues for the year. The financial crisis was the beginning of Siluanov advocating for domestic investment, for the people of Russia to invest in Russia to build its future. There are currently two primary theoretical approaches as to why the Russian economy is experiencing low growth. The first approach argues that low growth is due to insufficient infrastructure construction while the second approach argues that low growth is due to weak domestic demand and a poor investment climate within the Russian Federation. Siluanov has typically agreed with the second theoretical framework and has pushed for the government to increase public-private investment and postpone structural problems. Despite this advocacy, it seems that Putin and the Russian government have elected to prioritize infrastructure and will be beginning a new, high-profile, and well-funded infrastructure spending spree over the next six years. Siluanov’s conservative reaction to the financial crisis has helped the Russian economy stabilize and resume slow growth. However, Russia remains susceptible to further sanctions from the West. Siluanov has stated that Russia is opposed to “sanction-swapping” with the United States, but that the country is prepared to defend itself and its economy from what he, and many other Russian officials, considered baseless accusations against an innocent nation. As he and the Russian government continue to stand firmly against the accusations of the West, Siluanov reinvigorated his plea for Russian investors not to abandon Russia; he implored these business owners to invest at home rather than in foreign markets that were negatively targeting the Russian economy. -A 2018 Ruptly video of Finance Minister Siluanov in Moscow urging people to use the rouble rather than crypto-currencies, like bitcoin, calling them “illusions to bypass restrictions and sanctions.” (Russian, no voice over, no subtitles). In an attempt to reverse some of the damage inflicted by the Western sanctions, Siluanov and the U.S. Secretary of Energy, Rick Perry, met in Moscow to discuss the challenges of their bilateral relationship and also expressed a desire to reinvigorate the “dormant” U.S.-Russia Energy Working Group that focused on energy issues of mutual importance to the United States and the Russian Federation- for example, the hydrocarbon markets of Eurasia and the Nord Stream 2 pipeline. Secretary Perry stated that, although he wanted this cooperation, “the future of our relationship with Russia is predicated on successfully addressing our broader disagreements.” He then ended the meeting underscoring that, “as two of the world’s top producers of natural gas and oil, it is in the interest of the world for Russia and the United States to succeed in furthering international energy security and global stability.” Siluanov was receptive to the possibility of improving bilateral relations with the United States but did not waver on his stance against Russian violations or guilt in any fashion against the West or the contentious Minsk II Agreement which was a 2015 package of political and legal measures agreed upon by Russia, Ukraine, and others to alleviate the ongoing war in Eastern Ukraine. In short, while the meeting was an amicable and well-intentioned one, little was achieved. Domestically, Siluanov has also been on the frontlines helping to deal with perhaps Russia’s most unpopular domestic reform to date, increasing the Pension Age. In opposition to the plan, thousands of people protested against the President and the cabinet. Protestors were seen in Moscow, St. Petersburg, Yekaterinburg, Rostov-on-Don, and even Crimea. 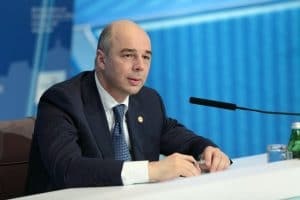 Siluanov was one of the faces put forward to explain the unsustainable economic reality faced by the Russian Federation and stated that the government does not “expect any additional revenue from the pension law changes” and that they even plan to increase financial transfers to the Pension Fund. The protests have largely ceased now the policy has been passed and signed into law. Throughout the decade Siluanov has taken on a number of high-profile commitments including: Dean of the Faculty of Finance and Economics of the Financial University under the Government of the Russian Federation in 2013 and Chairman of the Supervisory Board of the Vneshtorgbank (VTB) Bank one of Russia’s largest banks that has, since Soviet times, financed many government programs. In December 2017, the salaries of federal ministers in Russia for 2016 were publicly published (and deleted soon after) on the website of the Ministry of Finance of the Russian Federation. Siluanov’s salary was about 1,729,000 rubles (currently about $26,000) per month, or more than two times higher than the official salary of the Russian president. Further, this salary only accounted for 22% of his total reported income for 2016, which was declared at 95.44 million rubles (just under $1.5 million). When questioned, Siluanov stated that most of his income comes from the sales he makes on his various properties. As of 2016, Siluanov owns a total of three land plots, one house, one apartment, four garages, and two non-residential buildings. With the combination of these endeavors and his two official government posts, Siluanov is the richest minister in Russia. Siluanov refers to himself as an “exemplary family man” who always makes time for his family. In his personal time, Siluanov is collects records, enjoys underwater hunting, practicing his German, and riding motorcycles; in fact, he and his son, Gleb, bond over their mutual love of motorcycles and ride together around Moscow. This idea of ‘sticking to modesty’ may explain how Siluanov has managed to remain one of the few constants at the top of the Russian government since the fall of the Soviet Union. It is no longer possible for him to remain in the background, as he is one of the most important individuals in the Russian government, but modesty, conservatism, and patience are personal values that Siluanov has woven into the Russian economy and helped create a system stable enough to withstand a full-blown financial crisis a growing sanctions regime.